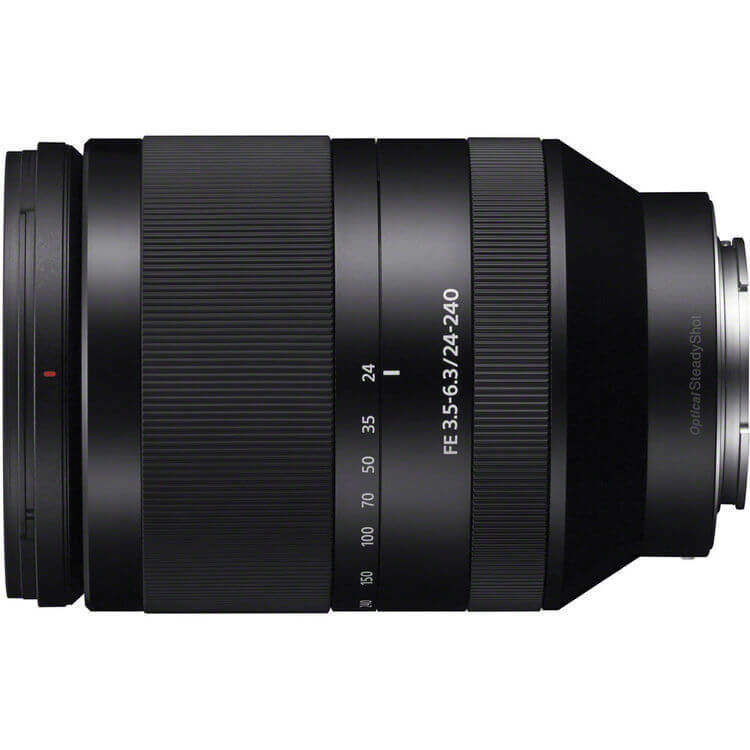 Do it all with the Sony FE 24-240mm f/3.5-6.3 OSS Lens for full-frame E-mount cameras. Able to cover everything from wide-angle to telephoto in a single compact form factor, this lens uses a variable aperture of f/3.5-6.3 to keep size and weight to a minimum. 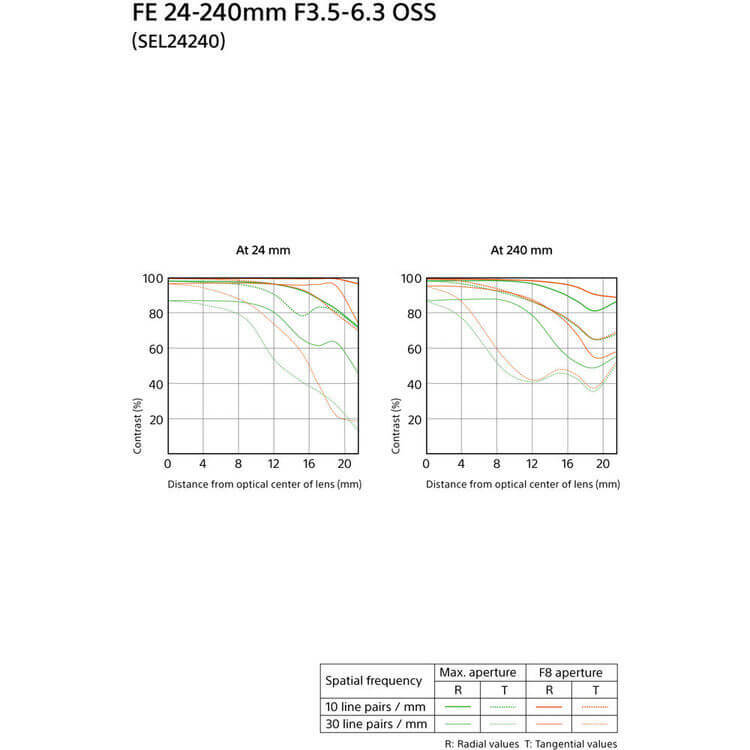 Ensuring maximum quality throughout the range the lens incorporates one extra-low dispersion element and five aspherical elements that combat various aberrations. Also, it has a linear autofocus motor and internal focus design that provides fast, accurate, and reliable focusing. Further benefitting use is built-in Optical SteadyShot image stabilization that reduces the impact of camera shake, especially at longer focal lengths. The lens is dust and moisture resistant as well, for operation in less-than-ideal conditions. 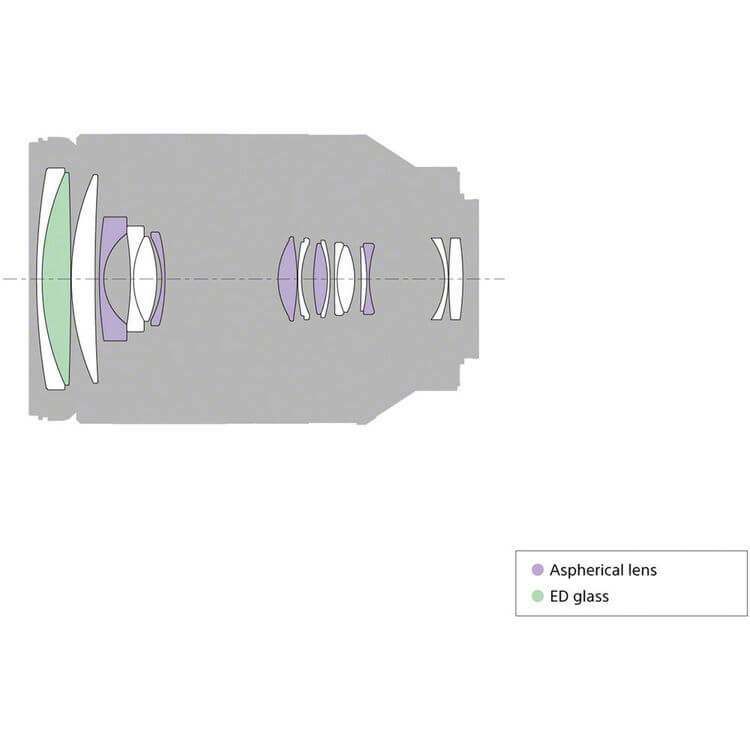 And, it has a seven-blade circular diaphragm for smooth bokeh. Designed to cover everything from wide-angle to telephoto perspectives, this full-frame 24-240mm E-mount lens can also be used on APS-C format cameras where it will provide an equivalent zoom range of 36-360mm. 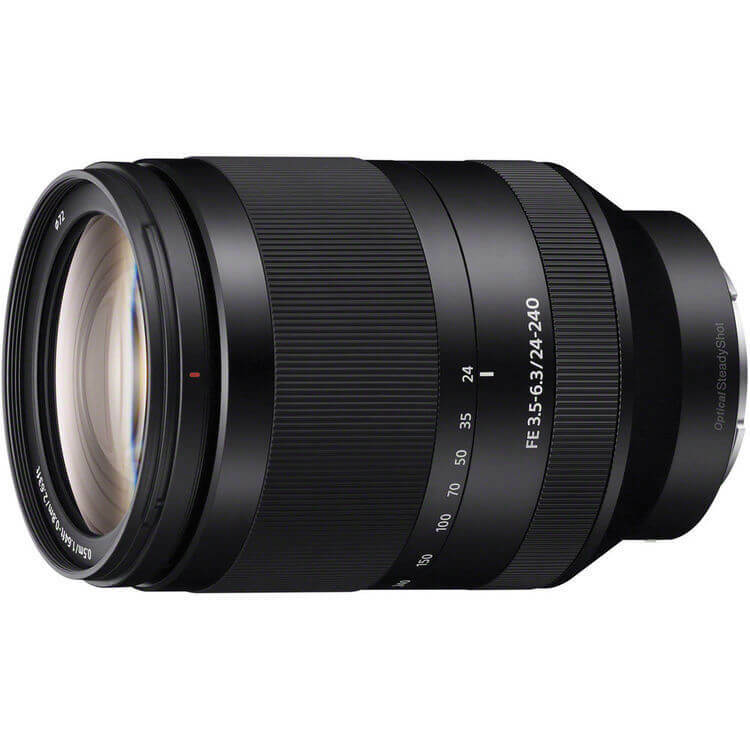 A variable f/3.5-6.3 aperture helps keep lens size and weight to a minimum while still offering an outstanding 10x zoom range.